We would shift from taxing earned income to taxing the monopoly use of any part of the commons. Today I heard of someone who in the process of defrauding the tax department. I won’t go into the details of it on this occasion. We have all heard these tax evasion stories. It’s because the tax system invites fraud like that. I can remember sitting in the accountant’s office at tax time and noting the way the accountant asked his questions. My husband was a GP and we had both written books, so our expenses for our book writing were tax deductible. The accountant would say, “And this $480, was that for travel associated with your book?” It was in the days when you had printed bank statements posted to your homes and it was a matter of labelling each sale and matching it up with a cheque. There was no internet banking then, and it was easy to forget to record a cheque properly. The time with the accountant was a cross between a conspiratorial plot and an open honest discussion. I know never felt comfortable any way. We usually ended up so that some expenses were declared correctly and some dishonestly. I got the impression that the accountant had to run a fine line between pleasing his clients and keeping a good reputation with the IRD, so the atmosphere was palpable. Just imagine this occasion multiplied a few thousand times by couples all over the western world. Is it or isn’t this item tax deductible? Such a waste of time. 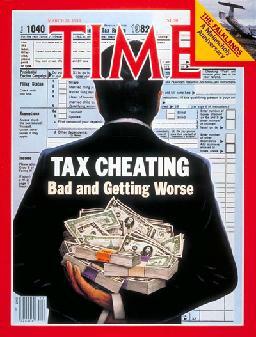 So many hours spent by so many on tax avoidance. Why? Because we have income tax, a completely illogical tax. We should tax what we hold or take not what we do or make. Apart from the occasional saint, we all have tendency to get away with what we can and the system just brings out the dishonesty in us. Accountants will be more familiar than I am with all the various ways people can cheat – by declaring family gifts as tax deductible capital items and other forms of false deductions, as well as having offshore bank accounts and making false invoices. Then there is the straight “cash job” indulged in by a range of tradespeople and others. Just as a welfare system based on your relationship status invites you to cheat, so a tax system based on what you earn invites you to cheat. Cheating is an inevitable result of a wrongly targeted tax system and an outdated welfare system. In contrast a land rental cannot be avoided. There are no tax deductions. You pay for what you use of the commons and that is that. You can’t take your land offshore and hide it in a tax haven. You can’t cheat. 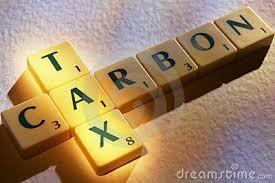 The tax is simple and cheap and hard to evade. Likewise if you use water commercially for irrigation or other purposes, you pay for the use of the water. Simple. No tax deductibility there either. In October 2013 the Los Angeles Times announced that the climate change debate was over and they will no longer be publishing letters from climate deniers. Great news. We live in a convenient spot for family travellers so have had a lot of visitors. Between visitors I have been thinking and reading on the politics of climate change. I noticed that since I started on twitter I have gradually become more and more interested in the topic. The typhoon in the Philippines this year made us all sit up and refocus our efforts to ensure there is a liveable planet for our descendants. We live in New Zealand and have watched Australian politics closely. It is been blindingly obvious that a carbon tax can be a recipe for animosity and political suicide both within and between parties. But the bitterness and vindictiveness can all be avoided. So I was very excited when I read about what had happened over the last five years in British Columbia. They have had a carbon tax since July 2008, starting at the rate of $10 a tonne and increasing every year till this year it was $30 a tonne. In contrast to Australia, the carbon tax has been remarkably successful, both from the point of view of reducing emissions and keeping the economy healthy. Strangely enough it has also kept the government in power. Why is this? Because they have wisely made it revenue neutral. The Minister of Revenue is obliged by law to look at the tax take from carbon tax and reduce other taxes by at least as much. So it isn’t a tax grab. It is a tax shift away from taxing things you want to encourage such as work, to taxing things you want to discourage such as pollution. Energy policy activist Charles Komanoff in 2007 co-founded the Carbon Tax Center, website http://carbontax.org. On it Komanoff has written a summary of carbon taxes in various countries and starts with British Columbia. Komanoff believes that support for a carbon tax is growing steadily among public officials, economists, scientists, policy experts, business, religious, environmental leaders and ordinary citizens. Komanoff is an advocate of revenue neutral carbon taxes. The state does not gain tax revenue from it. James Hansen, an American adjunct professor in the Department of Earth and Environmental Sciences at Columbia University and author of The Storms of My Grandchildren also recommends a fee and dividend system where all the carbon taxes collected are returned to the people. But what is the best method of distributing the carbon tax money to citizens? I think it is the one used by Alaska which has the Alaska Permanent Fund which pays a yearly dividend to all residents who have lived there more than a year. This system is the closest thing to a basic income guarantee that exists in the world today. It is a small, yearly dividend, financed indirectly from oil revenues, paid by the state government to every citizen who lives in Alaska — including all children. British Columbia has implemented a carbon tax which is revenue neutral, but they would have been better to use the Alaskan method of fair distribution. We can learn from both, and bring the best of each together. 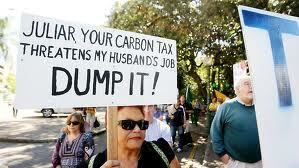 What astonishes me most about the British Columbia carbon tax is the politics. Five years ago it was implemented in 2008 by the the BC Liberal Party, the party further to the right with the most free market policies. The left leaning BC New Democratic Party wanted to repeal the carbon tax but the BC Liberal Party was re-elected in 2009 and then again in 2013. Income taxes are now down to 10% and the drop in fossil fuel use over the five years has been 17% per capita. A carbon tax makes sense whether you are a conservative or a conservationist, Labour or National, a climate skeptic or a believer. Right and left must unite on this vital issue as the biosphere is no respecter of political views. As academic Guy McPherson says “Nature Bats Last”. It is time the left leaning parties started to understand that tax shifts are not only politically popular but essential if we are to curb climate change. Adam Smith’s invisible hand works well when people are handed a dividend. On the whole the people will spend it wisely.